● Great Bass response along with nice clear treble and a fantastic distinctive design! ● Overall a fantastic value for money sound system! 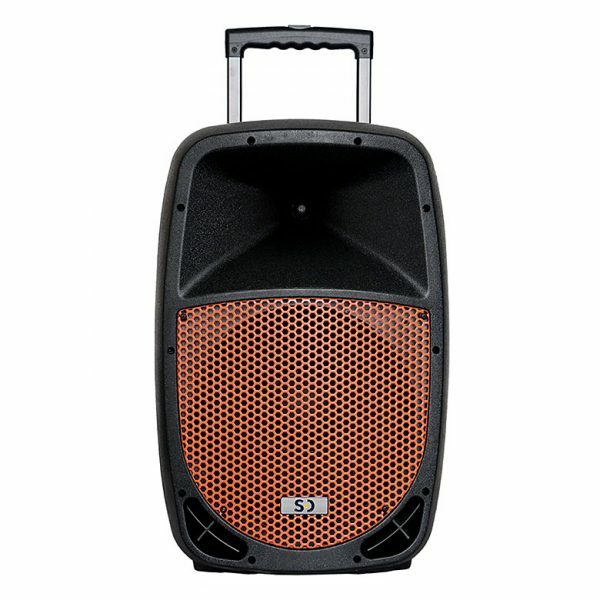 The All New Black n Orange SD12M Mains System! This is the high powered mains version of our Black ‘n’ Orange range. 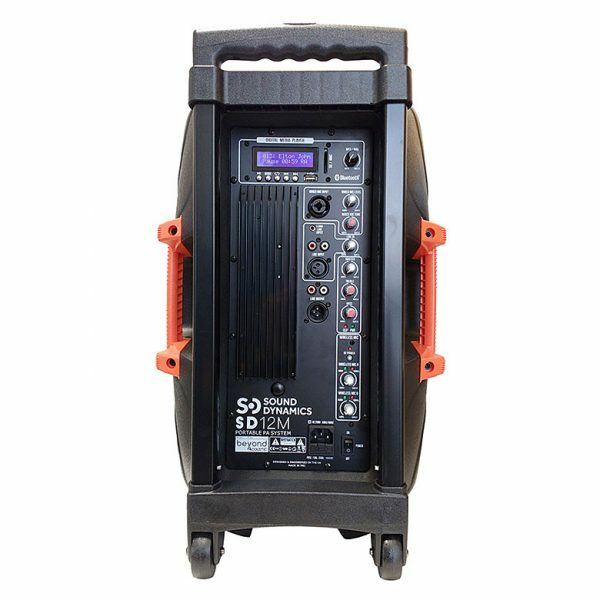 Fantastic self-contained system with a huge 250 watts of power. 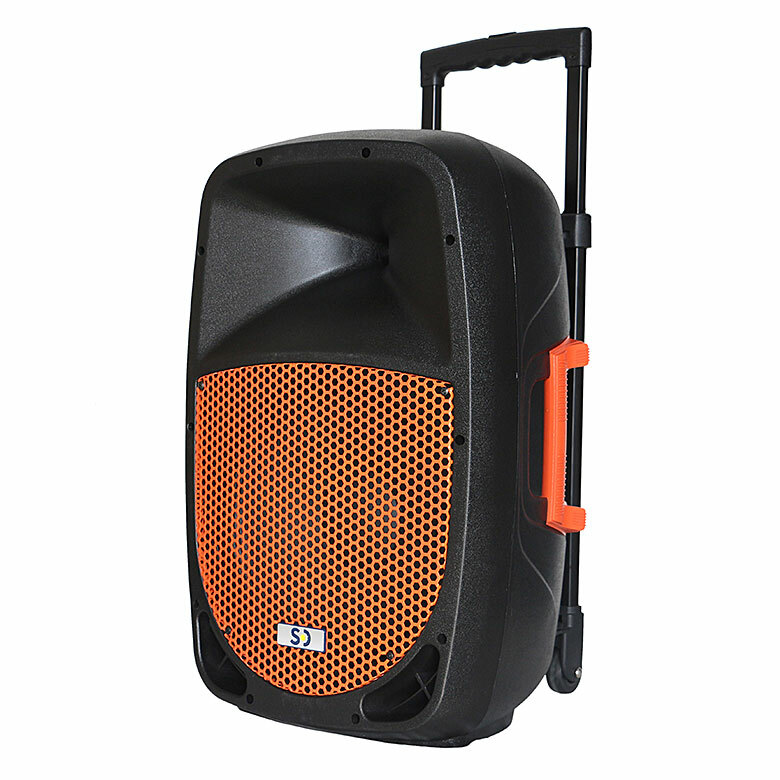 A portable PA with a funky, distinctive, bang on trend design which is ideal for Fitness Classes, Dance Studios, Spin Studios or Educational use. An inbuilt class AB amplifier giving excellent sound performance and an active 2-way acoustic speaker system enhances the sound quality even further! Complete with 1 x fitness style headset microphone with VHF bodypack and 1 x VHF handheld wireless microphone. The receiver is built into the rear panel along with a further mic input. Also including an input for iPod, iPad, iPhone, CD, MP3 or pretty much anything else that you’d like to plug in and play through the system. Moulded handles, pole mount hole, a retractable trolley handle and rear wheels provide easy portability. 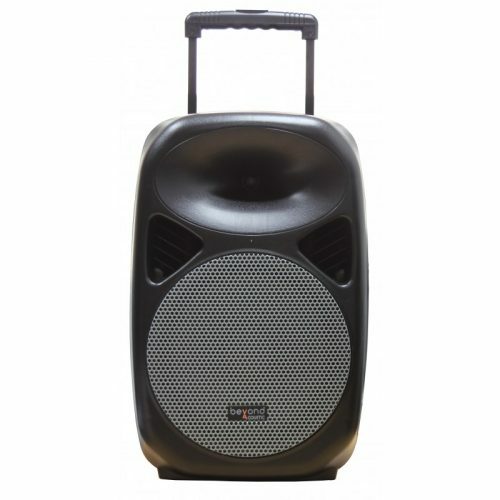 Overall a fantastic value for money multi-purpose sound system with awesome power and quality!